Prior to 1909 of the ring of 5. 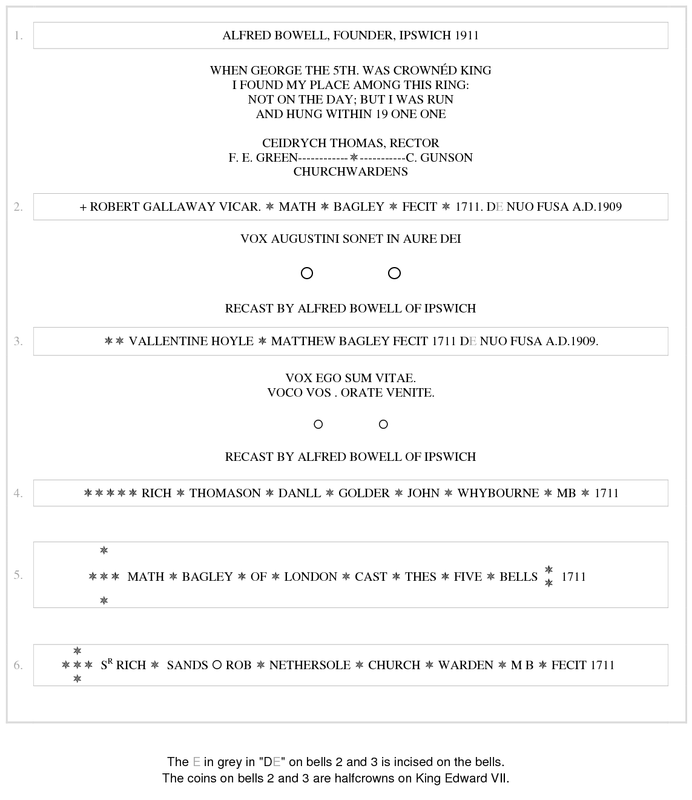 Treble (of 5) 1711 Matthew Bagley Never Recast in 1909. 2nd (of 5) 1711 Matthew Bagley Never Recast in 1909. 1711 Ring of 5 cast by Matthew Bagley. 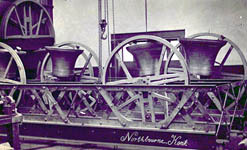 1909 Treble and 2nd (of 5) recast by Alfred Bowell and the bells were rehung in a new steel frame for six bells with steel headstocks. 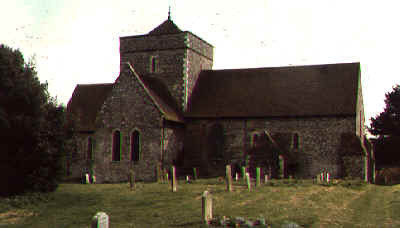 The frame is unusual in that it is built diagonally in the tower. 1911 New treble added to make 6 by Alfred Bowell, who also rehung the bells. 1970 Ringing chamber floor was restored allowing the bells to be rung again. 2002 The tenor was found to be loose on its headstock, so all the bells were tightened by the KCACR. 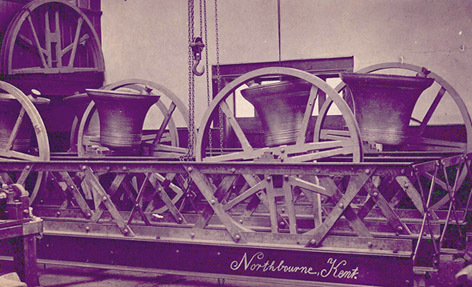 This is a photograph taken in 1909 of the bells in their frame in Alfred Bowell's Bellfoundry.